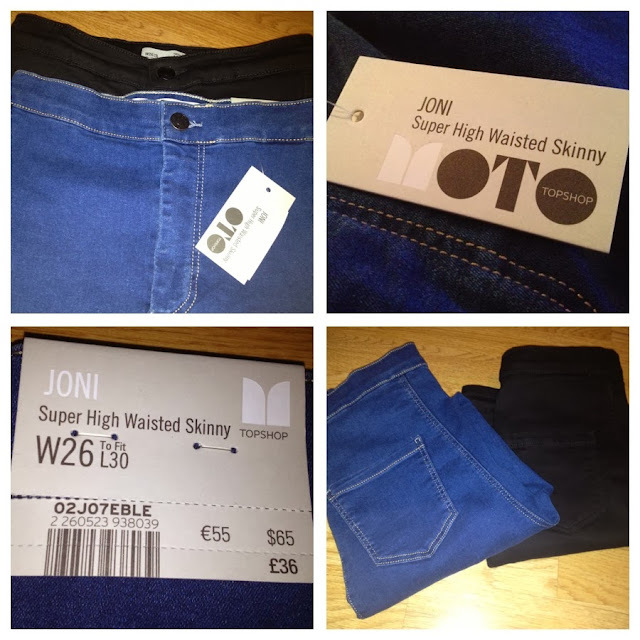 A few months ago I told you of my fascination with Topshop Leigh skinny jeans (read review here), well guess what Topshop have won me over again with their amazing Joni jeans. 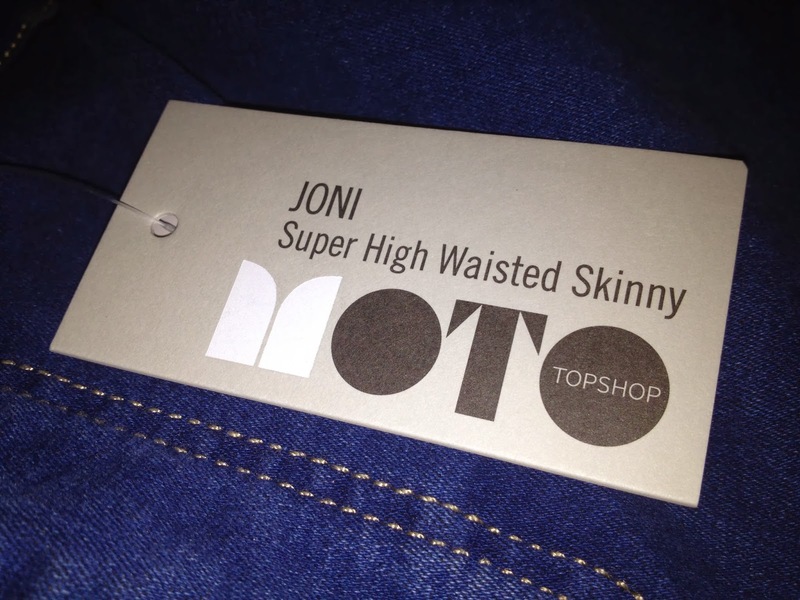 I've always wanted good fitting high waisted jeans, so when I tried these on in my local store I was over the moon. They're such a dream I thought I'd tell you all about them. What I like most about the jeans is the good stretch they have. I usually find it difficult to find jeans that will fit both my waist and my things; as I have quite full thighs to get jeans that fit them I have to compromise with the waist, which will be too big. Over the years I've had to invest in belts, whilst they can add nice finishing touches to your outfit... 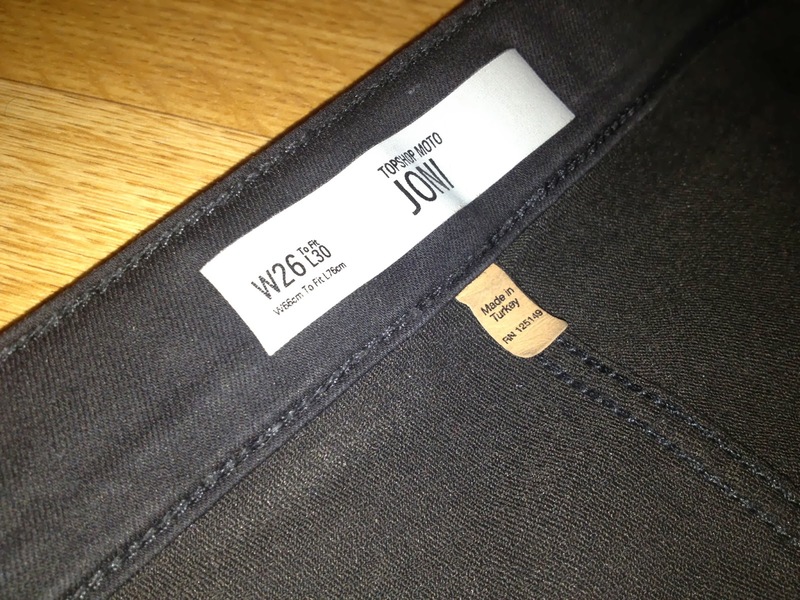 I just want a pair of high waisted skinny jeans that fit well all over. 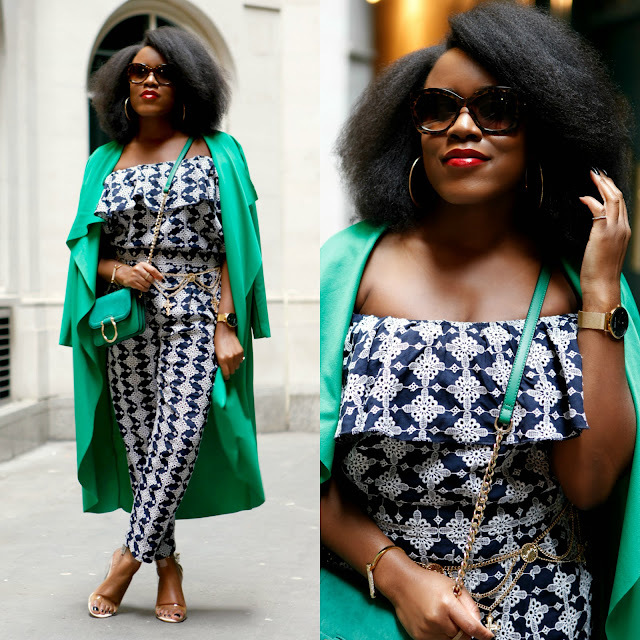 The super high waist is very flattering, especially on curvy ladies. The stretchiness of the jeans allows me to get a pair that fit perfectly on my waist and stretches to fit my thighs without being too tight. They're definitely the perfect jeans for curvy ladies. 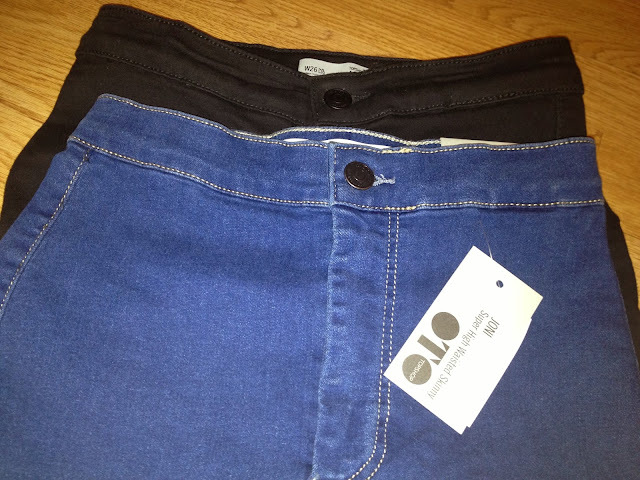 No pockets at the front of the jeans, makes the jeans look more neat and tidy for dressed up outfits. 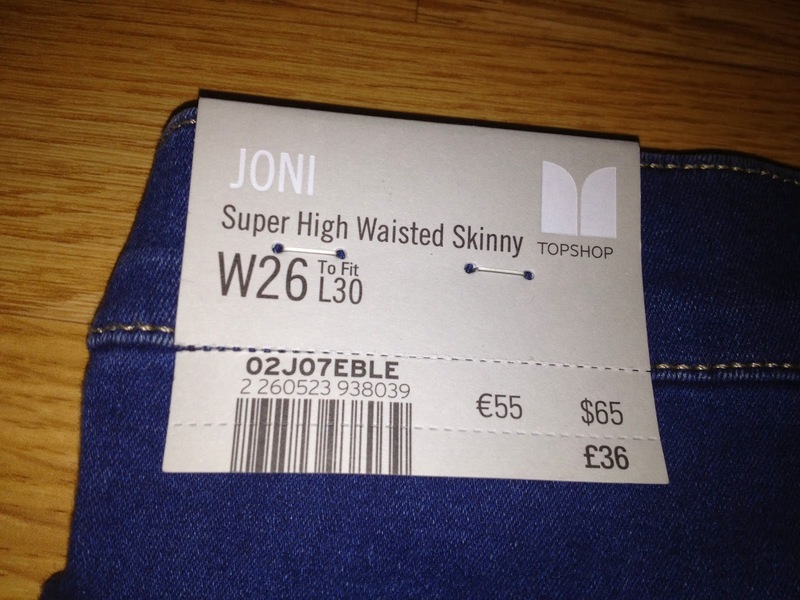 Topshop always cater for ladies of all heights, these jeans are available in three different lengths; 30", 32" and 34". 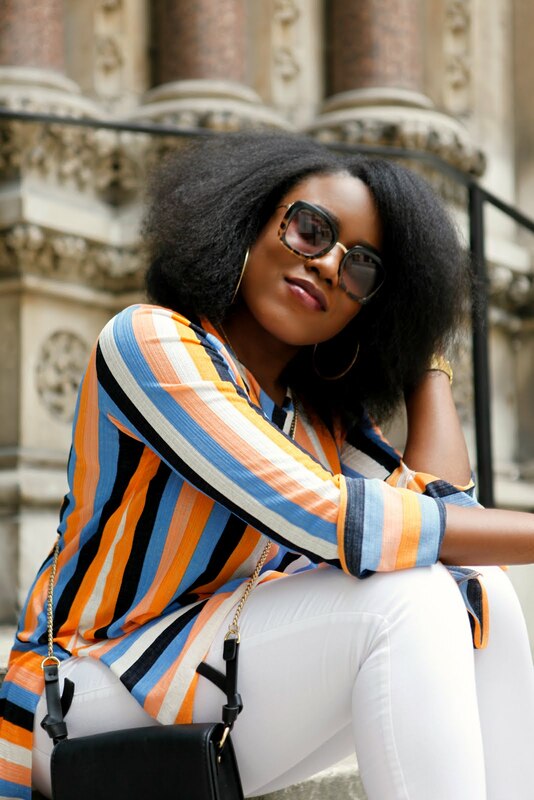 Given the different lengths, you can get a shorter pair than their usual length and wear them as ankle grazers or get a longer length and fold up the ends, how you chose to wear them depends on what you are wearing with them. 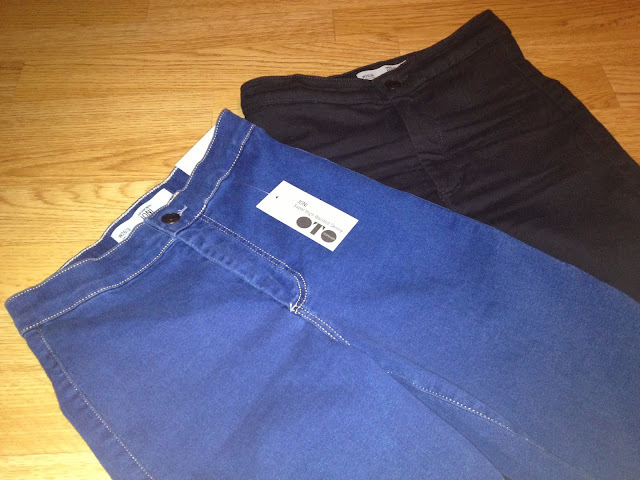 The jeans come in a wide variety of colours and washes, greys blues blacks and more. I decided my first two pairs would be colours that I'd wear frequently, colours that would go with almost anything, black and dark vintage (blue), but as I'm so happy with them I'm considering getting another two pairs; I'm quite fond of the grey and aubergine pairs. The jeans come in three different lengths: 30" 32" and 34"
The jeans only have two pockets and they're located at the back. I actually prefer high waisted jeans with no pockets at the front as I find it looks neater and can be be dressed up more easily. In my opinion the more pockets the more casual the jeans appear. The jeans come in a wide variety of colours/washes. I've washed both pairs of jeans and they still look great, the colour hasn't changed at all. 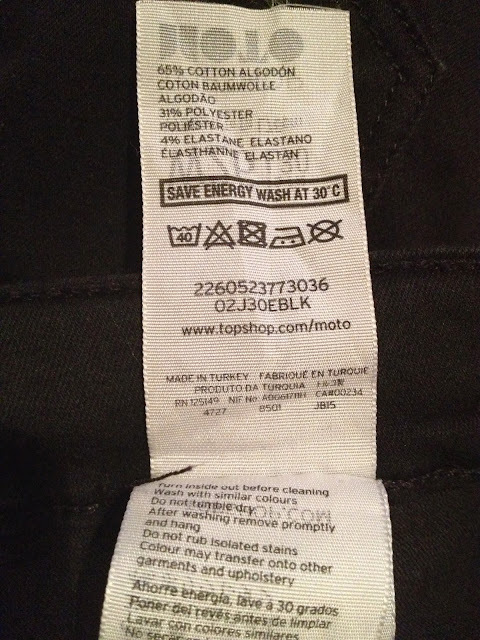 In time I'll be able to assess the quality of the jeans and let you know whether they are good quality or not, but based on the quality of Topshops Leigh jeans, I suspect that the jeans will last a very long time. Good stretch for comfortable wear. I'd definitely recommend getting these jeans to all ladies curvy and slim. Why not check them out at your local store or check out the Topshop website, you won't regret it.